With the increasing public attention drawn to drone strikes, and their growing prevalence as part of the way armies conduct military operations, it was really only a matter of time before they became the focus of a military drama. 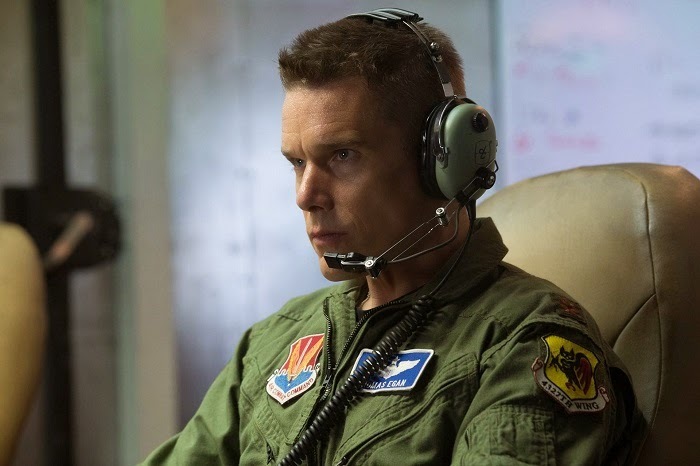 Good Kill - a term referring to a successful drone strike - sees Ethan Hawke as Major Tom Egan, a disillusioned drone pilot, who longs to see the action up close and personal. A former pilot, his superiors are at pains to point out that the work he is carrying out is vital and that he should embrace a life where he can serve his country and still be able to return to the comfort of his home and family each day. Egan approaches his work with a detachment and moral flexibility that make him ideally suited to the job, but ultimately leaves him hollow and unfulfilled. As is par for the course with movies like this, his unhappiness at work takes a toll and his home life begins to suffer and director Andrew Niccols doesn't really tread new ground in this regard. Egan is a depressive alcoholic, played with a quiet vigor and constraint by Hawke, and as his focus and interest in the various missions begins to wane, the moral complexity of what Niccols is trying to show the viewer starts to reveal itself. While there are similarities and obvious influences from the likes of American Sniper and The Hurt Locker, the glaring difference is the technology being questioned. Drones and drone strikes have become a frequent and frighteningly devastating form of warfare, in the space of an incredibly short time. Niccols treats the audience as voyeurs, and wants us to make our own minds up as to whether or not the technology does more harm than good in the hands of a government that is increasingly under pressure to stamp out terrorism. Good Kill works best when asking the audience some complex questions about the morality of wielding such power. As Egans orders change and targets are identified with ever more shady evidence of any wrongdoing, the stakes feel upped and the drama plays out with a degree of tension and suspense. However, with the focus on Egan and his grainy computer screen, the visceral impact of battle is completely lost in translation, and it never builds on the promise of nerve-shredding intensity that other war movies have managed to create. Andrew Niccols has crafted a reserved and intelligent political pot-boiler, but one that misses it's target by not investing the audience enough in the conflicts or missions. As far as weighty dramas with topical subject matters go, Good Kill does a decent job of posing some difficult questions. 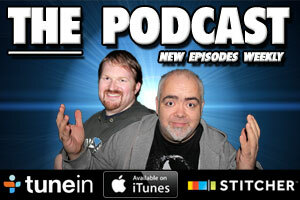 Where it is less successful is keeping the viewer engaged enough to really care about the answers to those questions.